Marathon is the long distance running race. More than 1000 marathons are happening in a year around the world. Many people show their interest in marathon running like Runners, Athletes, general peoples also participate in the marathon. Marathon running event is conducted for particular goal name for example as “Save girl child” which also gives benefits for the marathon runners like healthy life awareness, know the physical potential, new bonding with new friends, self-confidence to achieve the goal. Before, you are going to participate in the marathon event you want to do some practices from before two weeks. Women, men, kids, aged persons also participating in the marathon, nowadays marathon running distance is split as 3km, 10km, 26km to 42km. Most of the people run without any physical practice but it will give some sickness problems like heart attacks, wheezing while running or after completed the run. If you do running practice before two weeks slow by slow you can identify the capacity of you. Based on the running potential you can choose the marathon running distance. Starting your running practice early will gives the energy and confidence to participate the marathon run. Body stretch exercise used to avoid knee, leg sprain, and knee bent while running and also tightened your muscle. Cycling, morning jogs or evening jogs for long distance practice helped to stay the energy while running. Breathing exercise also helps to run smoothly. Body stretching exercises like lying hamstring stretch with a cord, Lying gluteal stretch against wall, Groin stretch, simple leg stretching, hold for few seconds really does help when you run in marathon and you can take full marathon training before two weeks in the marathon training center or by own. Eat balanced diet before the night of marathon race because eating heavy or undigested food makes trouble stomach pain while running. Eat carbohydrate foods, protein foods, banana, and milkshake. Avoid junk foods and overeat before the night of marathon race. Aged persons also ensure that can they participate in the marathon? Because, aged people may have arthritis problems. Take proper full marathon training or half marathon training after getting the suggestions from doctor. Then they can participate in the marathon. Sleeps 6 to 8 hours before the night of marathon race because a complete sleep will give a fresh morning, fresh mind, remove tiredness. Even though the running practice is must for a marathon, sleeping before the night is necessary to participate and complete a full marathon. 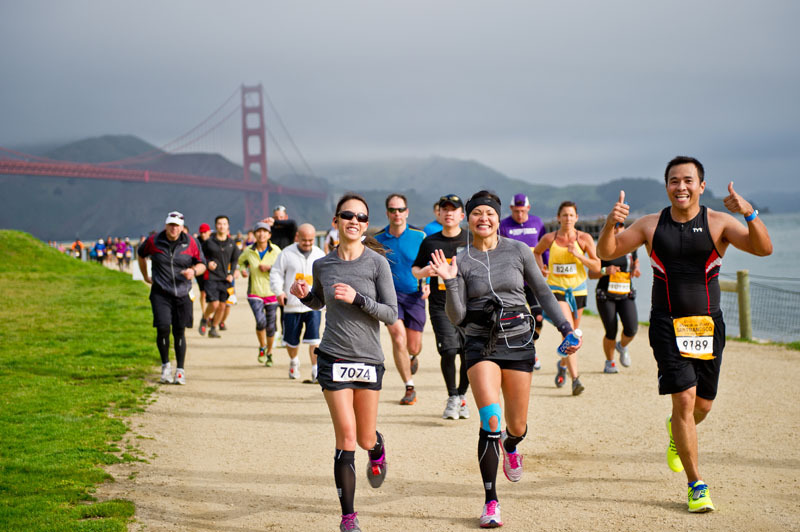 On marathon race day morning, eat carbs foods like rice, bread, and banana, fruit smoothies, electrolyte, energy drinks, yogurt, and milk, cheese butter with bread, egg, and oats and do simple leg stretch movement, relax yourself before start to run. Eat 2 hours before the marathon race because running full stomach stops you from half marathon even you are trained to run full marathon. Don’t take oily snacks, chips in marathon running. Buy new shoes for a marathon before one week at least, run and practice with that new shoe. Your foot will start to practice flexible move with that shoe which does not cut your foot. Prefer cushion shoes to run, though you are a fast runner or slow runner, this cushion will support and make comfortable. Prefer lightweight running shoes to run in the marathon. Run slowly in the first 2 km if you start to run faster in the initial stage, you will lose your full energy in the beginning stage itself. Don’t take tension by seeing another one passing you and throw out the negative thoughts like do I can complete a full marathon or half marathon. Avoid injury while running. Keep this as a practice from marathon training schedule. Unless you have an injury your body, don’t ignore to cure the injury. If you are beginner don’t worry about the distance and don’t count the distance of running because it makes you more tension to achieve the goal. Winning is more important than participation. Some people had start 16 week half marathon training schedule and 20 week half marathon training schedule before they are going to participate to come first in marathon. Don’t hear music while running in the marathon because you cannot hear the surrounding noise and announcements what they are giving to you. Instead of hearing music, you can watch out the encouraging friends, families, audiences, enjoy the fun with runners. Wear soft and skin friendly clothes. Cotton clothes are lightweight, nice cloth but for running in marathon use nylon or other running race clothes which is suit for your skin. It won’t make irritation while running it should be comfortable. Drink more water while running in marathon. Dehydration is the major issue while running so don’t wait until you feel thirsty drink adequate water while running a marathon. Get water in the nearby centres and take it water with you. Keep energy drinks with you. If you are running in10 km to 42 km marathon race, You will lose your energy slow by slow when reaching 6 to 7 km that time you should charge with energy drinks, banana fruit. If your kids are running in the race, you can take more chocolates, dried fruits, milkshake with you to encourage them. Positive attitude while the marathon is important, encourage yourselves as I can do” coming first in the running race is not important, the way of participating in the race is a leading thing which helps to complete full marathon distance unlike stop in the middle of a marathon race. 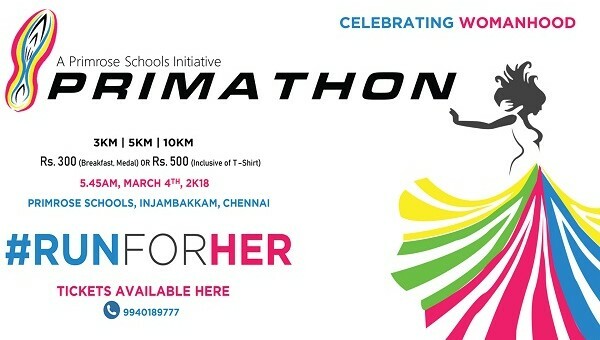 We are conducting primathon 2k18 to celebrating “Girl child” on March 4th. 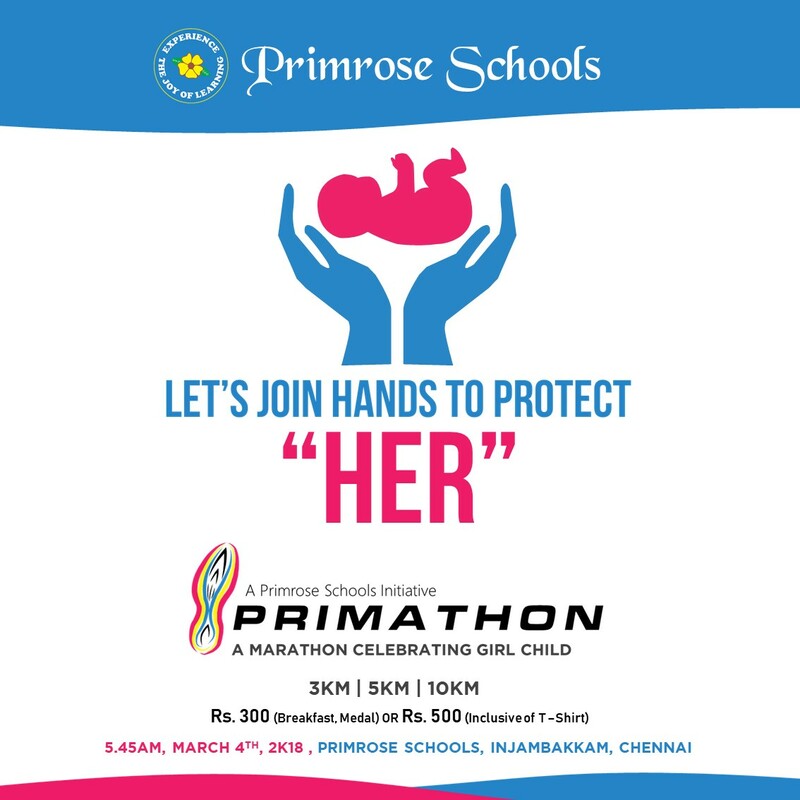 Participate in our primarathon event to raise voice for “Save Girl Child”.